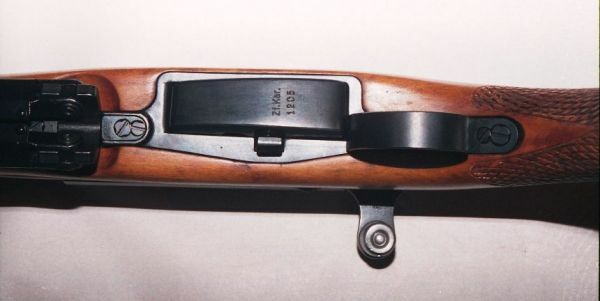 A profile view of the ZfK55. Note: the bipod legs don't lock. It too me several minutes to balance the rifle. The very impressive looking flash-suppressor. 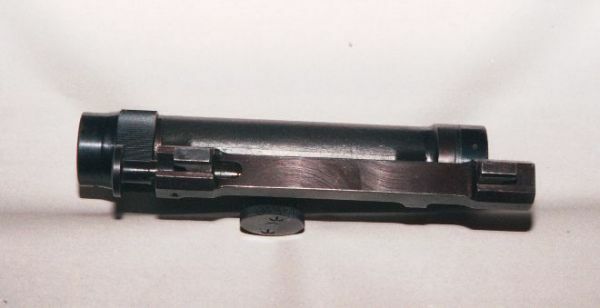 Note: the standard K31 style sights atop the flash-hider and bayonet (?!?) lug below. The forward barrel band. 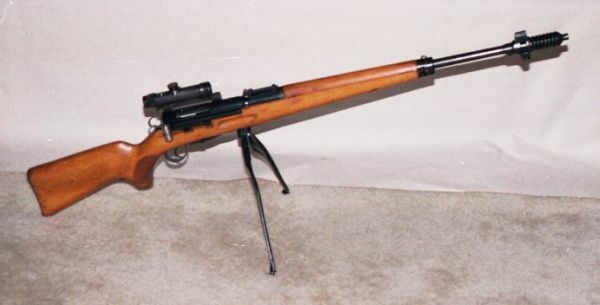 Note the heavy barrel. 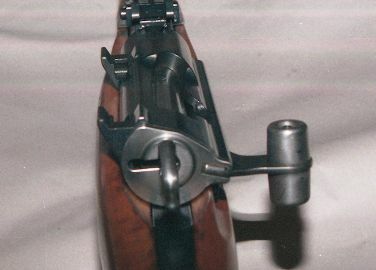 A side view of the scope mount. 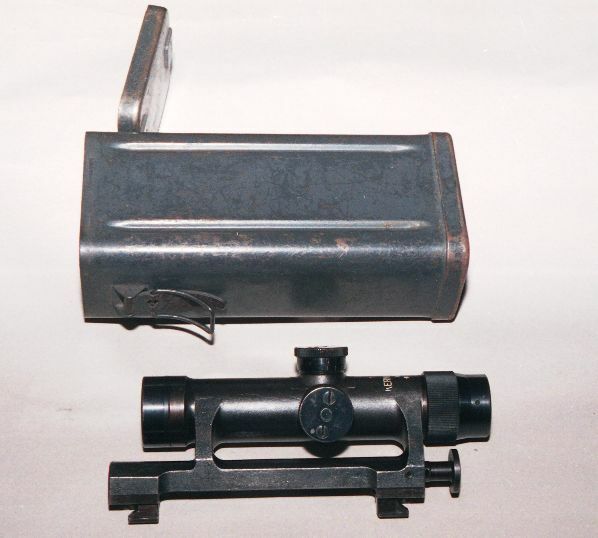 A rear view of the scope mount. 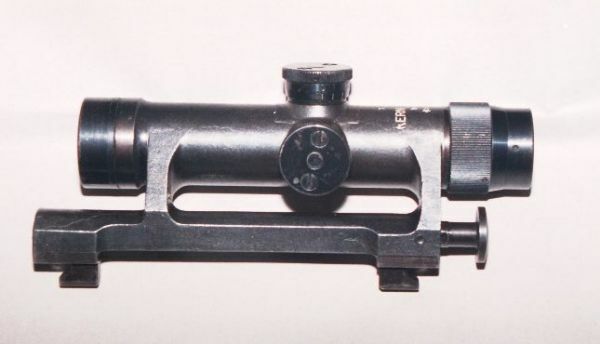 A top view of the scope mount. The right side of the reciver. 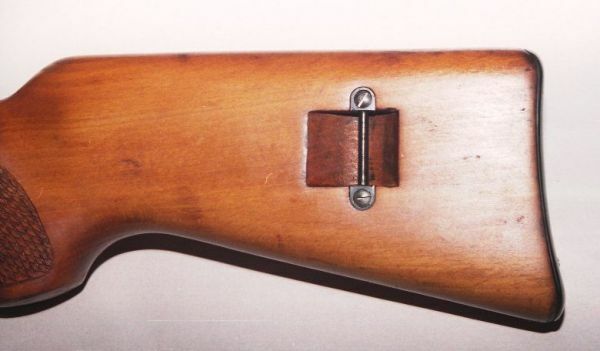 The buttstock and sling bar. 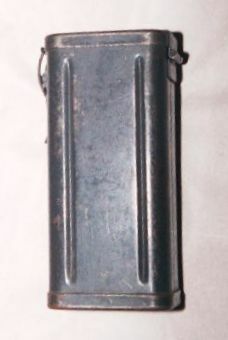 The scopes carrying case. 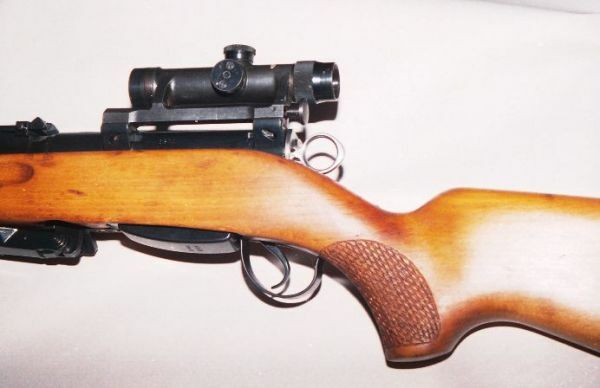 Note: the s/n on the case matches the scope and rifle. A top view of the case. Note: the scope only fit's in one way. Also note the rubber disk to protect the scope and belt loops. Closer view of the scope. 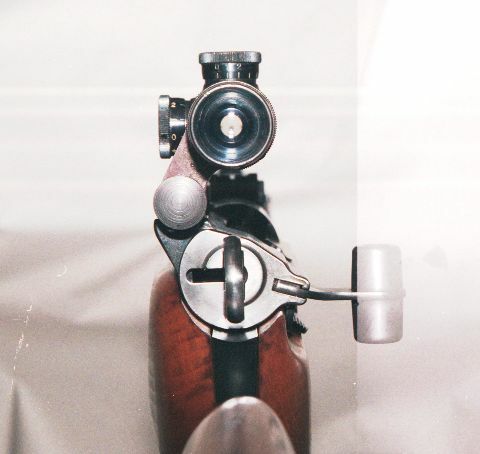 The T-shape plunger at the base of the scope pushes toward the front. A bottom view of the lugs. Note the plunger. 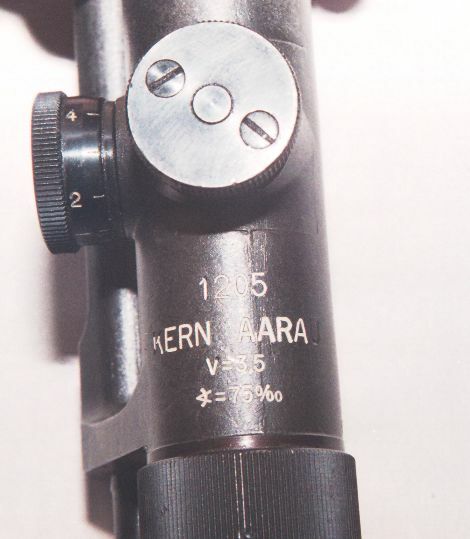 Detail view of the top of the scope. A half mounted scope. The front of the scope is slide into the front mount. The the plunger is pushed forward and the scope locks in place. 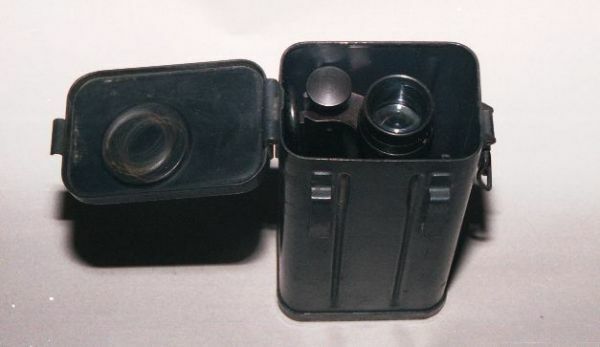 A mounted scope. How well the mount retains it's zero remains to be seen. 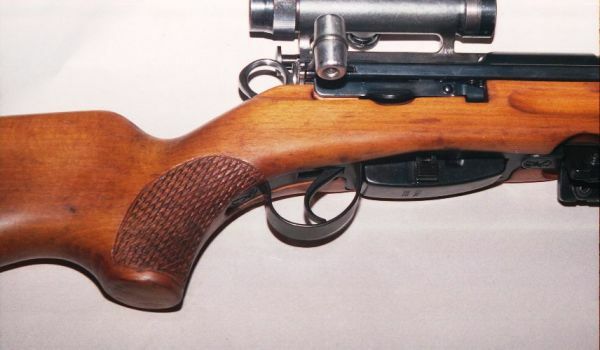 Note the checkering on the pistol grip. 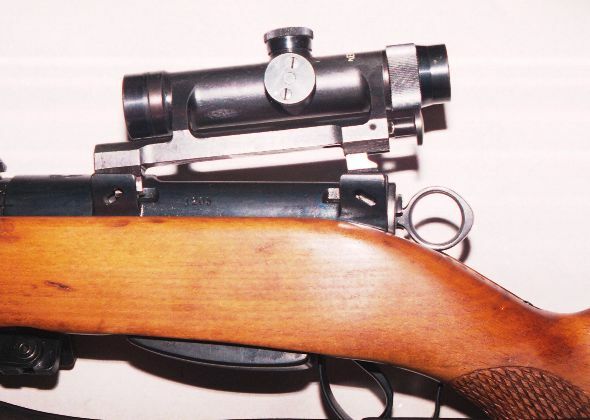 A rear view of rifle and scope. Notice how the action is tilted towards the right. The magazine is also at a diagonal. It is speculated the tilt changes the angle of ejection. I intend to test this theory shortly. 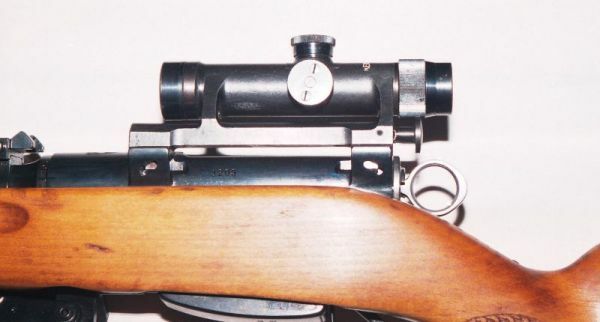 Top view of rifle and scope. Note: the ZfK55 uses sights similar to K31 iron sights. Another view of the pistol grip and trigger. 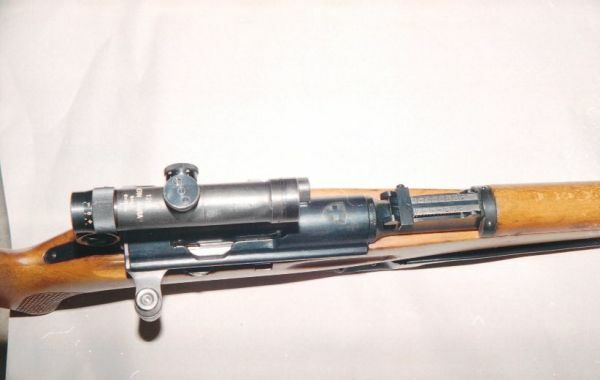 A view of the magazine and bipod. Note the scallops in the wood to allow a side to side tilting motion. Also, note the use of set screws. A second view of the magazine. Again, note the set screws. A close up of the magazine. Zf. 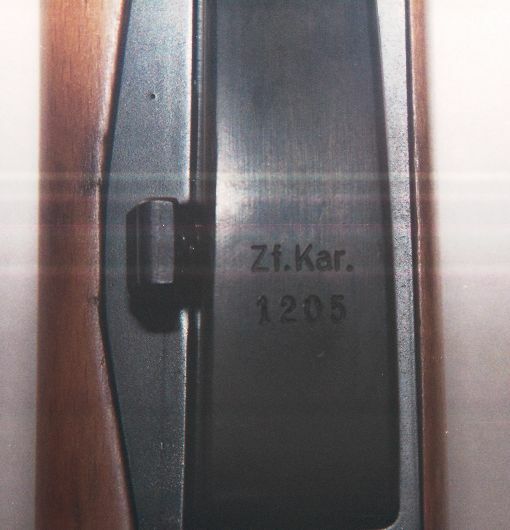 Kar is short for Zielfernrohr-Karabiner. No, I can't pronounce it.